A few years ago, the word “multichannel” and even later, “omnichannel” were considered buzzwords in the ecommerce industry, mainly by those who didn’t understand what they meant. Ecommerce customers will be coming from a multitude of channels to your site. There’s a real reason to keep a multichannel presence across channels where your customers are typically the most present. These touchpoints are the difference between a customer that trusts your site, and a visitor that bounces to the competition. 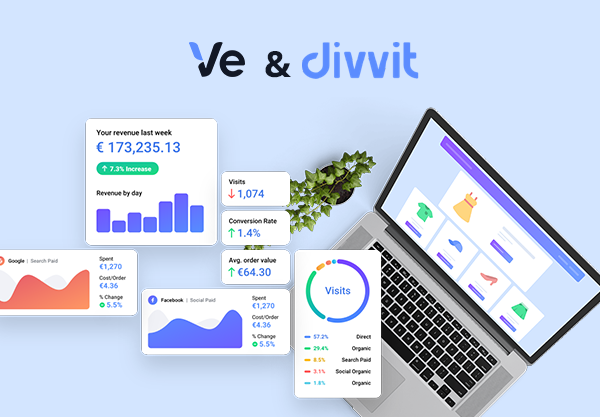 In ecommerce, a customer has on average between 6 and 7 touchpoints (5.5 from Divvit’s records) with a brand before trusting enough to purchase. While this is the average, some of your customers who already know and trust your brand will need fewer touchpoints. Newer customers might need many more. With a plethora of channels to choose from, how do you know which channels are the most profitable for you? Not only do you need to ask yourself what kind of visit volume does the channel send you, you also have to ask yourself what kind of quality those visits ultimately provide. A great way to do this is through attribution, which is where you assign a certain amount of “credit” for a sale to one or more channels. However, many attribution models can be over-simplified and when they’re not, they can be costly or overly-complex to use. This is why attribution can be tricky, and choosing the wrong attribution model can be bad news for your ROI. Attributing your sales correctly can show you which channels are the most profitable for your ecommerce site, and where you can improve your ROI. When accounting for multiple channels in your strategy, a lot of attribution models fall short of the mark. It’s easy to note, using last-click attribution for example, that the last click came from Google and therefore organic Google was your most profitable channel for that sale. But that’s far from the whole picture. What if your customer were looking for you after having clicked on an organic Facebook post three days ago? If your ad appears at the top of the searches because you’ve bid on the name of your site, it’s completely feasible that a customer would click on it. The fact is, if your attribution model only attributes your sale to one channel without considering the others, you’re only getting a partial picture of each sale. What you’re looking for is the impact that each channel has on the sale. 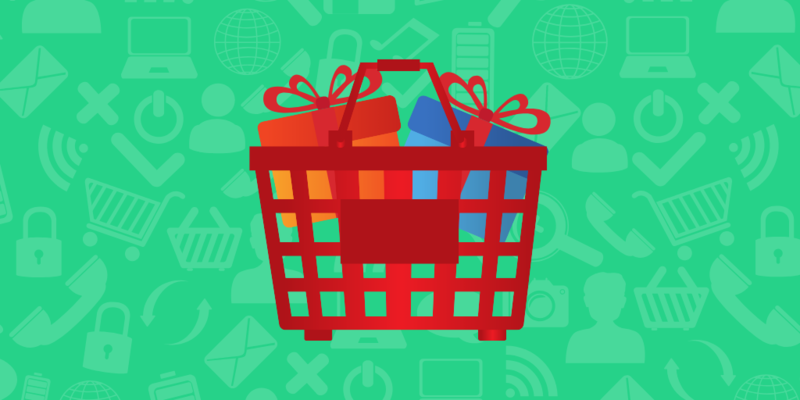 How valuable was each channel in getting the customer to trust you enough to purchase? At the bare minimum, to get a proper grasp on your customer journey, it’s important that you choose a multi-touch attribution model. This means that the credit for the sale doesn’t fall uniquely on one channel, like in first click and last click attribution. The second aspect to look for is that each channel earns a weighted amount of credit for the sale. For example, a linear attribution model puts equal weight on each channel without taking into account the placement of the channel nor the value of the visit. A true marketing attribution model will account for the placement. While it’s important to assign different value to different channels, that value should be based on data about the touchpoint itself, in lieu of time, date, or placement in the customer journey. For example, some models like Time Decay Attribution will devalue the first touchpoint. However, the first touchpoint is not only the source of your lead, but may also be incredibly important in your customer’s decision making process based on the time spent on your site and the number of pages viewed. The marketing attribution model that you choose should offer clear insights in your analytics. Attribution analytics can be misleading with certain models that don’t offer a complete picture of the customer journey. When models take into account each touch point, this becomes apparent in your attribution reports by displaying realistic numbers based on the true impact each of your channels had. For many marketing attribution models, the assisting channels are devalued or not considered at all. While the first and last channels are clearly important, the decision is likely made long before that last touchpoint. The assisted channels should retain value based on how much they contributed to the sale. Choosing a multichannel attribution model that has these characteristics will help you make better decisions concerning your marketing spend, and it could even save you money (especially if you use affiliate marketing). 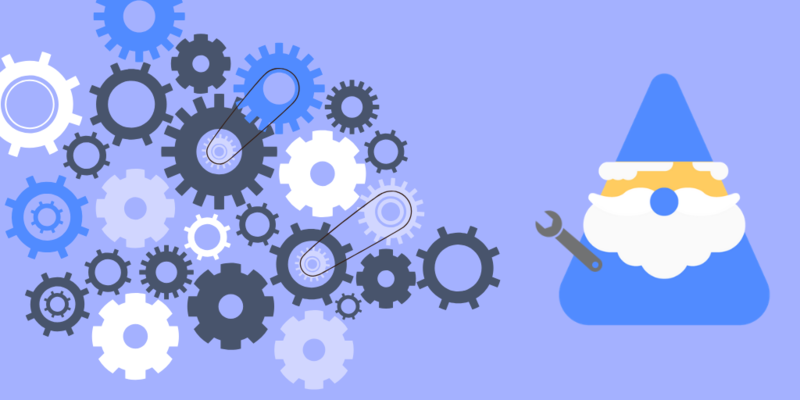 However, there’s one big problem that a lot of ecommerce managers and marketing experts face: none of the usual attribution models have all of these aspect. There are flaws to all of them, and it’s true, that no model is perfect. But you can get pretty close with a customized attribution model. Creating your own attribution model has more pros than it has cons. You can adapt how it functions based on what’s right for your ecommerce store and your customers. Value: How many pages did the customer visit? How deep did they go into your site? Pages viewed: Did they look at one or many product page? Did they check out your returns policy? Did they visit the checkout page or add things to their cart? Length of time spent on page: On the pages that are more consequential to your sales funnel, how much time did your customer spend on those pages? A marketing attribution model that answers and counts questions like these will give you a better sense of the overall quality of those visits. By assigning a conversion likelihood to each session, you’re able to determine the value your channels have with better and better precision over time because the algorithm learns from your customers’ behavior as it goes. Using advanced machine learning, this means that your attribution model will continue to get smarter and learn which of your customers are more likely to convert based on the pages they visit. Unlike the other attribution models, this model correctly takes into account the value of each channel and is flexible in how it automatically changes over time. What’s a relevant channel today isn’t necessarily a relevant channel tomorrow, and this flexibility shifts as your online store grows. A lot of marketers and online merchants don’t know they have an attribution problem. They think last click is perfectly sound because they fall into the “everybody else does it” fallacy. However, they’re missing out on key insights by using a single touch attribution model when multichannel attribution is far more adapted for the online consumers of today. Also, models like these based on machine learning algorithms tend to be complex and a bit of a black box, as many don’t understand how they function. This tends to scare some more practical marketers away. However, not having a perfect understanding of how something functions isn’t much of an excuse. Most algorithms are pretty straightforward, and if you’re used to calculating things like ROI and CLV, it’s not too difficult to understand. The point is, there is no excuse to continue using single touch and flawed marketing attribution models, especially when you consider the impact that true attribution has. I’ve talked a lot about multichannel attribution models as a concept, which is great. However, what we need to do now is put this into practice so we can see exactly what kind of impact it has on your bottom line. Because theory is wonderful, but if it doesn’t mean more money in your wallet, it’s useless. Just in comparing last click versus linear attribution here, we can see that both Google AdWords and Bing Ads have a more significant impact than last click would have you believe. This means that these ads are more present in your orders in the assists, and likely drive a sale that ends up converting from another channel. However, we can see here that just by factoring in a multi touch attribution model, last click is devaluing the impact that these ads have in the customer’s decision making process. What if we factor in a machine learning attribution model? Here, we can see that with Machine Learning Attribution (called Weighted Divvit) here, you get a clearer picture than with linear. While linear attribution gets close to what it should be, it tends to over value each channel. If you use affiliate marketing, attribution should be very important to you, as it’s the difference how much you pay that affiliate. Using the most popular (and flawed) model, last click attribution, we can see that Zanox is responsible for over 6000 sales and more than £680,000. Let’s say that your affiliates earn 10% of the sales they drive for your store. That comes out to £ 68,201.43 that you’re paying out. But let’s at least shift this to a multichannel or a multi touch attribution model and see what we get. “Weighted” in the Divvit app shows you a linear attribution model. That’s a 23% decrease in the number of orders simply by factoring in other channels and attributing equally. Revenue is impacted by changing it to 24.8% less than through last click. Saving you a whopping £16,928.13! But we know that a linear model has flaws too- because the value of the visit isn’t accounted for, and maybe Zanox deserves a bit more in that regard. When we apply the algorithmic attribution model, we can see something that is a bit more realistic in terms of how much Zanox should receive. Compared to last click attribution, you still save £15,737.65. That’s not an insignificant amount. And knowing what we know about machine learning attribution models, this is likely the most accurate picture we’re going to have about the revenue impact. Ultimately, you can see the difference just in changing to a multichannel marketing attribution model, and even more so in a machine learning attribution model. With Google and Bing ads, this can also help you make better decisions regarding your marketing budget. When you compare it among the rest of your channels, you can see which of your channels impact your revenue the most and decide how much time and energy you plan to dedicate to them. At the end of the day, what you do, or don’t do with attribution modeling will impact your revenue, whether it’s directly or indirectly. Failing to choose an attribution model that credits each channel with their true value can mean wasting money in your marketing efforts, or worse, paying too much to channels that aren’t offering you enough value. While all marketing attribution models are flawed, machine learning order attribution is as close as it gets to true attribution. Luckily, with Divvit, it doesn’t have to be difficult. Better attribution insights are but a click away.